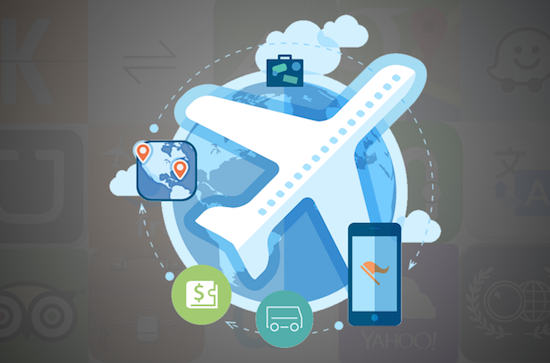 The travel app market is exploding with new apps being deployed on a daily basis. With so many mind-boggling choices, a traveler will opt for only those travel apps which have the best user engagement strategies. In simple words, if you want to keep afloat in the flood of travel apps, your app should be capable of building an intimate relationship with its users so that they not only use it again and again but also recommend it to their friends. Quick and easy on boarding is an important requirement of a successful travel app. If the user is not able to get onboard your app quickly on his first attempt, he is likely to get frustrated and discard your app and opt for a competitor’s app. With few clicks on the screen, user should be able to login or register and start making full use of your travel app. This is essential for a good first-time user experience and ensures repeated visits by the same user. Do not overwhelm users with a complicated registration process for your app. Do not try to get them to use all your app’s features at their first visit. Rather take them step-by-step and educate them so that they can optimize their use of your app. Obtaining permissions from users for location information and push notifications is also done during the on boarding process. This is an essential step for future engagement of users with your travel app. Convince users to grant permissions for sending them push notifications. Tell them the benefits of doing so. They would get added benefits like latest updates on their flight schedules or privileged information about deals and offers on your app. Accurate analysis of user behavior is the next step for enhancing user engagement. 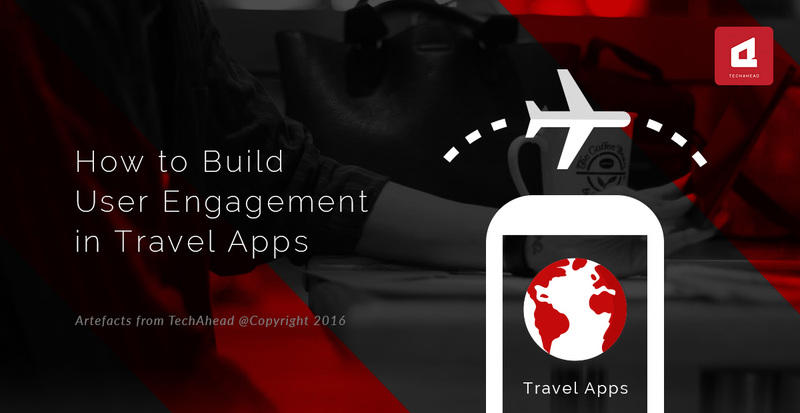 After users are onboard your travel app, segregate them on the basis of their app usage and behavior. Your app needs to understand its users. 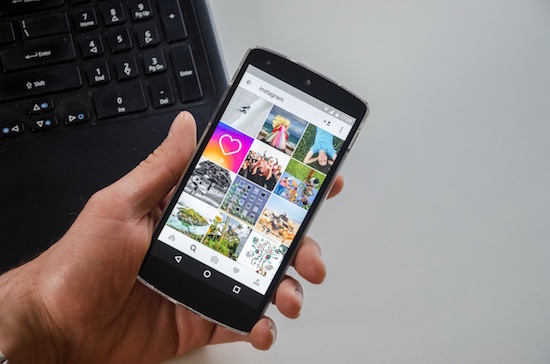 By analyzing users’ browsing history on your app and previous transactions on your app, you will get vital information about his likes and interests. Then your app can send relevant push notifications to them and get more business pout of the. For example, if a user is repeatedly checking out a hotel in your app, you can send an in-app message about a secret discount on that hotel. If you notice, a prospective travelers checking out a destination, your app can send messages and emails about special packages or cheap flights on that destination. There is a good chance users with succumb to your app’s subtle pressure and make their next deal on your app. Be a traveler’s guide and companion. User engagement doesn’t end with on boarding a traveler on your app and making a sales pitch to them or even after making a sale on your app. For building a long-lasting relationship with your users, it’s advisable to provide them helpful service while they are travelling. Messages like tell your check-in time at your hotel, we will keep your room ready for you; hope you know your boarding gate has changed last minute; do you need a pickup from your hotel to the closet attraction; we noticed you browsing for arts and artifacts. Here are the places to get the best bargain for these things- all will keep your travel app connected with its users during the trip and make sure your users will remember you even after the trip is over. User ratings of your app and feedback on your app are other great ways to build user engagement on your travel app. Now that your app has been a great friend and companion to its users, do not forget to tell your users to rate your app and submit these ratings. A good user ranking is essential for app store rankings and future business. Some travel apps with commendable user engagement tips and tricks are Tripit, CityMapper, Duolingo, Splittr and LiveTrekker. If you don’t want your travel app do be just one in a crowd of many, build an effective user engagement technique and you have a winner in your hands!